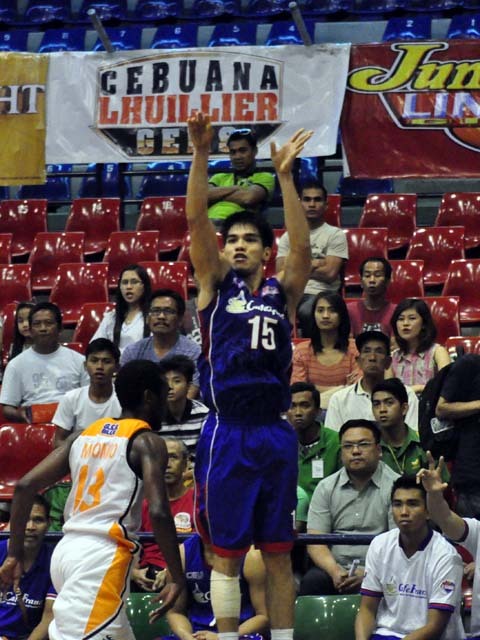 NAASCU To Surprise In 2015 PBA Draft | Servinio's Sports Etc. THIS COMING Sunday (August 23), 63 young men will be sitting on pins and needles as they await their names to be called out at the annual Philippine Basketball Association (PBA) Rookie Draft at the Robinson’s Place Manila. 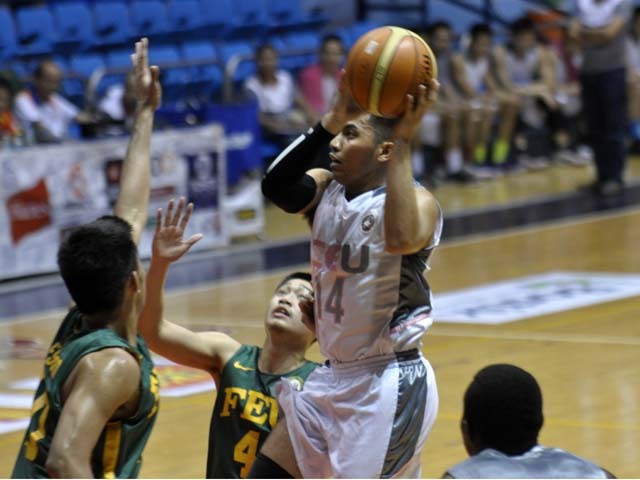 Among the hopefuls will be a small but compact contingent from the National Athletic Association of Schools, Colleges and Universities (NAASCU) as the league continues to make noise in the basketball scene. Four players from reigning back-to-back champion Centro Escolar University have thrown their hats into the pool led by former NAASCU Most Valuable Players Joseph Sedurifa (2013) and Samboy de Leon (2014), a pair of deadeye shooters. Joining them will be crafty guard Alvin Abundo and blue-collar big man Alfred Batino. Sedurifa played on both champion teams after transferring from the University of Southern Philippines Foundation in Cebu City. While Sedurifa has already exhausted his eligibility, his three teammates present an interesting case as they still have a year or two of eligibility left. The 15th NAASCU season will not start until September 4 or almost two weeks after the draft. The tournament is expected to conclude by the first week of October and the 2015-2016 PBA season is scheduled to a week or two after. The good showing of NAASCU teams in pre and postseason tournaments with schools from other leagues and the title run of CaféFrance in the 2015 Foundation Cup has definitely fanned interest on NAASCU and its players. Aside from the mentioned CEU Scorpions, several other NAASCU alumni have applied for the draft. 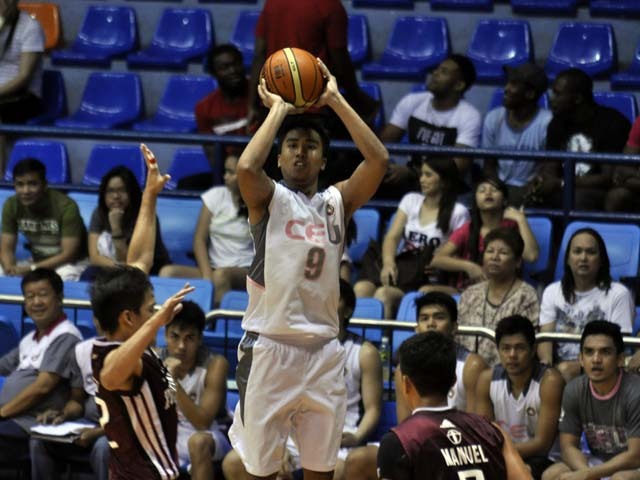 Saint Clare College of Caloocan, CEU’s bitter rival for NAASCU supremacy, will have Carlo Gatmaitan as their representative. 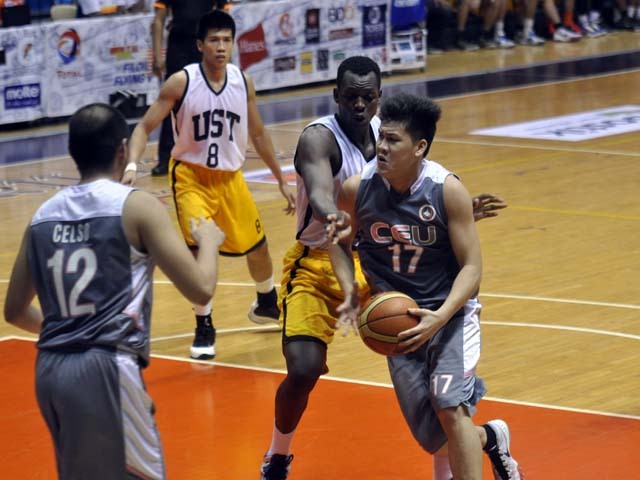 The 5’11” Gatmaitan never played in the major commercial leagues after his NAASCU days and is a long shot to make it. Two more players with Saint Clare roots are Junar Arce and Milan Vargas. Arce played for the Saints before transferring the Philippine Christian University while Vargas, who spent time with the University of Santo Tomas and Emilio Aguinaldo College, lists Saint Clare as his school. Mark Montuano and Eric James Acuna, the big and small combo from Informatics International College and Wang’s Ball Club are in. Although inseparable for most of their careers, Acuna later transferred to Saint Clare and helped the Saints go undefeated in the 21st National Capital Region Athletic Association (NCRAA) tournament in 2014. Bong Galanza, a member of the winning Bakers is listed as from the University of the East but began his college career with a one-year stint with the multi-titled University of Manila Hawks. There is also AJ Vitug who lists his school as San Sebastian but spent last season with the New Era University Hunters. In the past, several NAASCU players like Ramon Mabayo and MacLean Sabellina of STI College have been drafted. It looks like the first NAASCU product to make the PBA is now just around corner. This entry was posted in Basketball, NAASCU, PBA, Sports. Bookmark the permalink.